Ernest currently serves on the Board of Directors of the Southern Initiative of the Algebra Project and The Academy of Preachers. 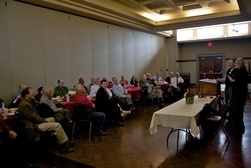 His sermons have been published in edited volumes and online journals. Ernest holds a BA from Morehouse College and a MDiv from Duke University Divinity School. Join Rev. 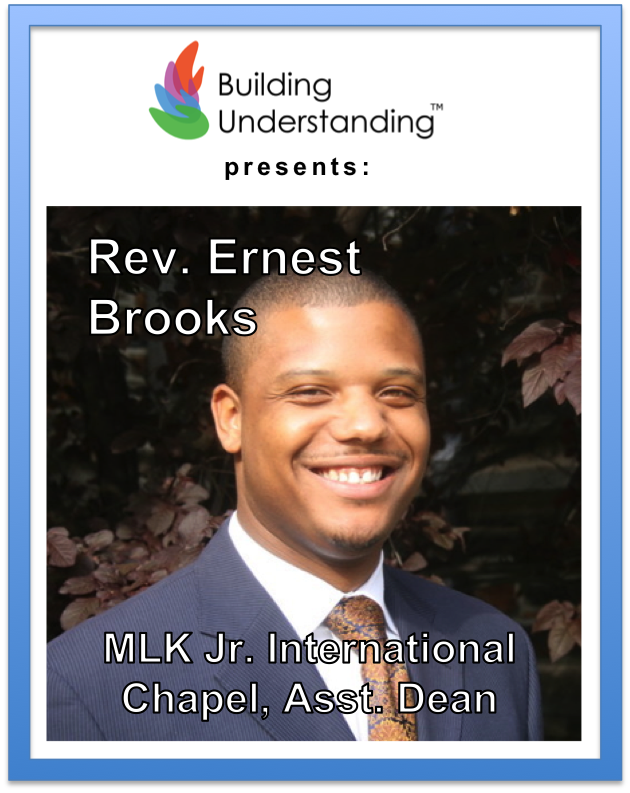 Ernest Brooks, assistant dean of MLK Jr International Chapel, as he shares from his experiences mentoring youth, preaching, engaging in interfaith, and leading curriculum development on issues of love, forgiveness and spirituality in African-American male identity. Ernest facilitates student religious life activities and serves as project director of The WorldHouse Initiative Realized, a campus-wide program for the theological exploration of vocation funded by the Lilly Endowment, Inc. With a keen interest in interfaith and intercultural studies, Ernest has led students on cross-cultural pilgrimages to Spain, Morocco and Japan.